Federal Health Minister Ginette Petitpas Taylor presented U of T Professor Ross Baker with the Barer-Flood Prize in Health Services and Policy Research at a meeting of Federal and Provincial Health Ministers in Edmonton on Thursday. The Barer-Flood Prize is a prestigious career achievement award from the Canadian Institutes of Health Research (CIHR). 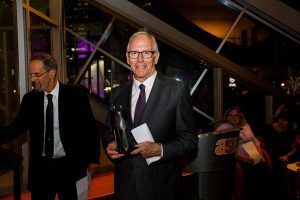 Prof Ross Baker accepts the award on Oct 19, 2017. (Photo by Codie McLachlan for CNW). Professor Baker is well known for his research on quality improvement and patient safety, in particular for his instrumental work on the Canadian Adverse Events Study with Dr. Peter Norton and colleagues, published in 2004. This large-scale assessment was the first of its kind in the country, and found that 7.5% of hospital inpatients experienced unintended harm from healthcare services, with nearly 40% of this harm deemed preventable. Baker also led the development of the Ontario Hospital Reports initiative, the first “scorecard” that measured the performance of acute care hospitals in the province from 1999-2009. This reporting system has since spread across health sectors and been copied in Canada and elsewhere, helping to bring greater focus on quality improvement and patient safety efforts. His dedication to quality improvement and patient safety has spanned his entire career and enabled collaborations with researchers in different parts of the world working to assess and improve the quality of care that patients receive. He has worked with patient safety research teams in Ireland, Portugal, Brazil and Japan, and also co-led a working group on patient safety research methods for the World Health Organization. A faculty member with the Institute of Health Policy, Management and Evaluation (IHPME) for twenty-eight years, Baker was interested in methods for assessing and improving the quality of care from the beginning of his career in health services research. He developed one of the first courses in North America on quality improvement for quality managers in the Masters of Health Science in Health Administration program (MHSc), and, more recently, led the development of a Master’s of Science in Quality Improvement and Patient Safety for clinicians and managers, a degree program that improves their capabilities to influence change at clinical and leadership levels. In 2013 Baker, together with Dalla Lana Interim Dean Adalsteinn Brown, co-led the creation of IDEAS (Improving and Driving Excellence across Sectors), a new educational program for professionals, funded by the Ministry of Health and Long-Term Care, that has taught quality improvement and management to over 3000 clinicians and managers. The $25,000 Barer-Flood prize is named for two former directors of the Canadian Institutes of Health Research, Morris Barer and Colleen Flood. 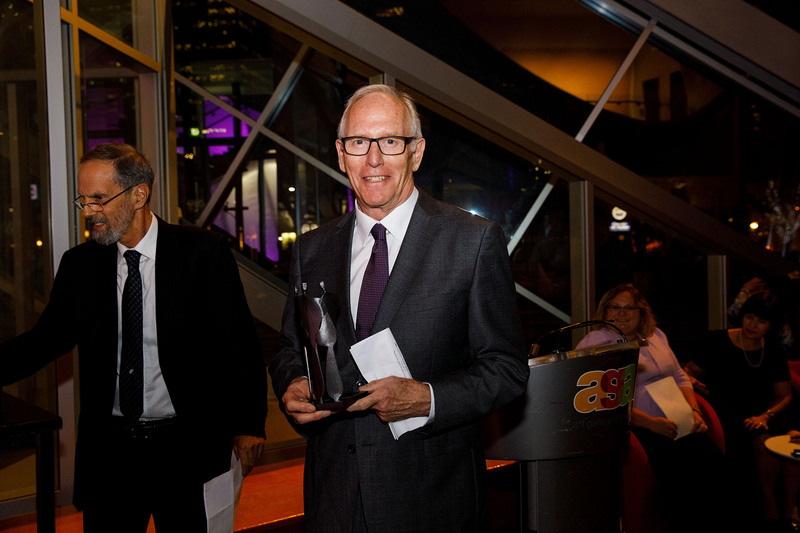 Their leadership and vision for innovation is recognized through this award as it honors an exceptional health policy researcher who has made a lasting contribution to the health system in Canada.